Pictured: Failte Ireland CEO Paul Kelly, Minister of State for Tourism and Sport, Brendan Griffin T.D, and Martina Bromley, Head of Enterprise development, Failte Ireland. 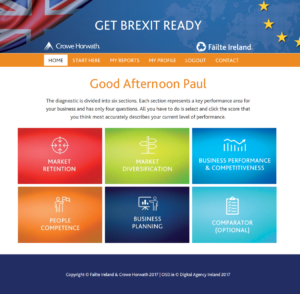 Crowe was delighted to partner with Fáilte Ireland, to assist in the development of a ‘Get Brexit Ready’ web tool. This app is part of a suite of industry supports that Fáilte launched on Tuesday that are designed to help tourism businesses prepare for Brexit. The programme allows for individual tourism businesses to self-assess their exposures and risks and provides a range of interventions to match their needs. Fáilte Ireland estimates that the impact of currency fluctuations will result in 300,000 less British trips here by the end of this year which, taken in isolation, would represent a €88m loss in revenue and an estimated 1,900 tourism jobs lost had the fall in British numbers not been compensated by a strong performance in other markets. 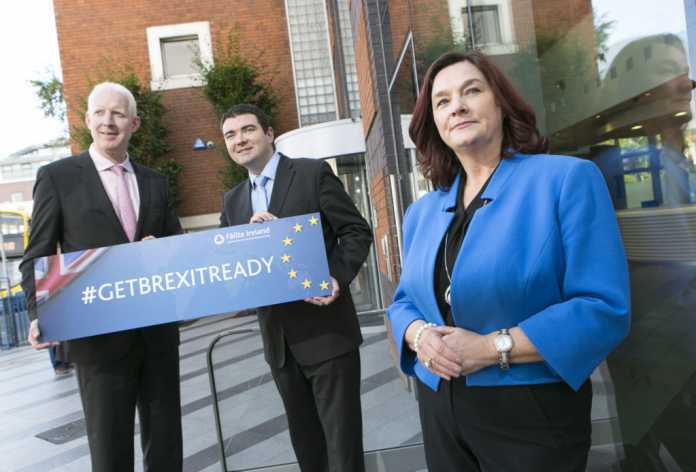 Crowe assisted with the development of a dedicated ‘Get Brexit Ready’ web tool –complete with all the relevant information and insights that businesses will need – from development supports and training programmes to insights and market intelligence. The web portal will also include ‘Brexit-Check’ – an online tool whereby an individual business can input their own data to determine how Brexit ready they are – as well as links to a series of market insights, tips and research to help tourism operators to recalibrate their businesses appropriately to navigate through Brexit related uncertainty in Britain and other markets. Users of this tool will receive a report immediately which assesses their level of readiness, suggests next steps and outlines the supports available to help. This can then be used as a starting point in the development and implementation of a Brexit response plan. If you would like to find out more information about preparing your tourism business for the potential impact of Brexit contact a member of our hotels, tourism and leisure team.